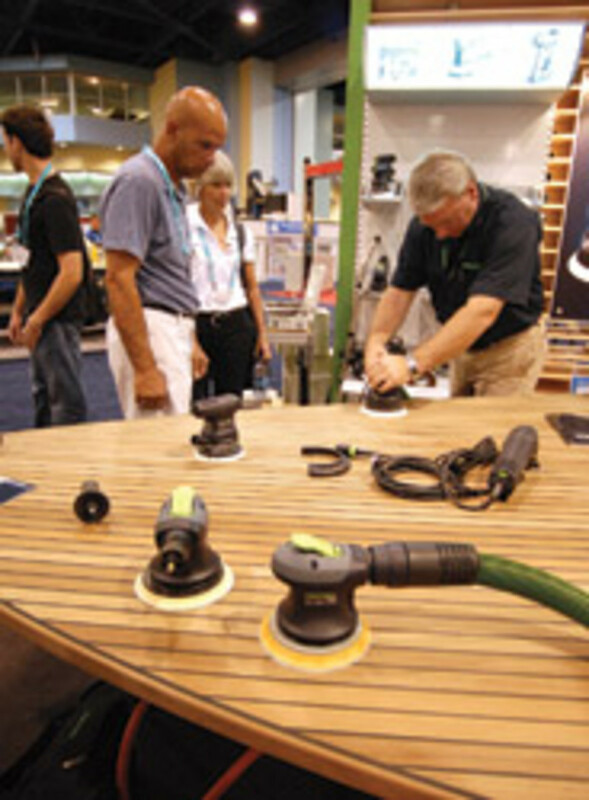 "New" is the operative word in describing this year&apos;s 20th anniversary International BoatBuilders&apos; Exhibition & Conference. New venue. New city. New aftermarket pavilion. New seminars. New events. 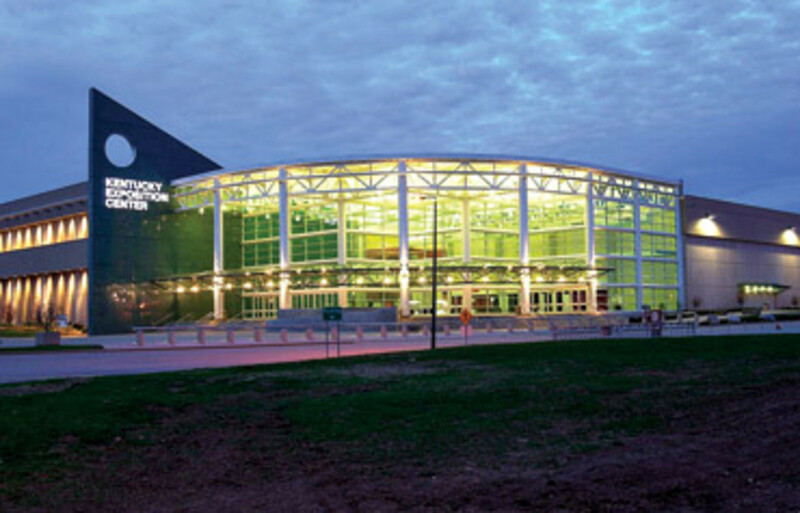 For the first time, IBEX moves out of South Florida and into the Midwest Sept. 28-30, taking over much of the Kentucky Exposition Center in Louisville. The other major change this year is the MAATS Aftermarket Pavilion, which was added after the demise of the Marine Aftermarket Accessories Trade Show. "I think we&apos;ll have a good show," says Thom Dammrich, president of the National Marine Manufacturers Association, which produces IBEX, along with Professional BoatBuilder magazine. "Will it be an all-time high? Probably not, because the industry is still in the doldrums a bit, but I think it will be better than last year." Schedule of Events • IBEX runs Tuesday, Sept. 28, through Thursday, Sept. 30 • IBEX All-Industry Breakfast: Tuesday, 7:30-9:30 a.m. • Opening-night party: Tuesday, 6:30 p.m., downtown at Fourth Street Live • NMMA Using Market Intelligence for Market Growth: Wednesday, 8 a.m.-1 p.m. • Exhibit Hall open Tuesday and Wednesday from 10 a.m. to 6 p.m.; Thursday from 10 a.m. to 4 p.m. • Exhibitors’ Workshops: Tuesday and Wednesday, 1-2 p.m. • Seminar hours: Tuesday and Wednesday, 8:30-10 a.m.; 3:30-5 p.m.; Thursday, 8:30-10 a.m.; 2:30-4 p.m. Attendance at last year&apos;s IBEX was down an estimated 31 percent from 2008, reflecting the challenging economic environment. This year, even when there were months to go before the show opened, registrations, the number of exhibitors and the amount of exhibition space were up from 2009, Dammrich notes. Carl Cramer, publisher of Professional BoatBuilder, says there&apos;s a lot of excitement about the new location. Louisville, which boasts one of the largest convention venues in the country, offers less expensive hotels and restaurants than South Florida and is within a day&apos;s driving distance of about half of the U.S. population, as well as a large number of boat manufacturers, Cramer notes. The show has a contract to be in Louisville for at least three years. "That&apos;s not to say there aren&apos;t some people who would prefer that we were going to be in South Florida, but we&apos;re not going to be," Cramer says, "We&apos;re feeling good about where we are at the moment and can&apos;t wait to get it open and get going." Larry Vandiver, director of marketing for exhibitor Suzuki, says the change in location is largely positive, providing new prospects for his company. "We feel that the change in venue will give us an opportunity to see some Midwest builders in those areas that we haven&apos;t seen in the past when it&apos;s been in Florida," he says. "At the same time, in talking to some of our Southern builders, they&apos;ve already indicated to us they&apos;re not going to make the trip up there. So we&apos;re going to lose some and gain some." Tim Kent, marketing manager for Marinco Electrical Group, says everyone his company hopes to meet with has said they will be there. "The people who normally go are going, even though there was a little bit of grousing last year because I think people like going to Miami," he says. "What I think is going to happen is we&apos;re going to see people that we don&apos;t normally see, in addition to the people that we do normally see." As of mid-July, about 500 exhibitors had signed up for IBEX, which put it on par with the 2009 event with more than two months to go until the show opens, Cramer says. About 120 aftermarket companies will be at the show, Dammrich says, and about 45 to 50 of those are expected to be part of the MAATS pavilion, which is being sponsored by Soundings Trade Only. "Louisville is in the heart of boatbuilding country, with about 80 percent of the boats built in this country being built within a 750-mile radius of Louisville," Dammrich says. "We&apos;re expecting a strong crowd, but particularly strong from the Midwest." With attendance at MAATS decreasing during the last few years, organizers decided that rolling it into IBEX as a component would be the best way to provide a venue for the aftermarket segment to exhibit its products. In 2009, MAATS drew 211 exhibitors and 1,345 badge holders. That was down from 1,780 badge holders in 2008, according to the NMMA. "To improve the efficiency of marine trade shows, the scope of IBEX needed to change," Cramer previously said. "One trade event for OEM and aftermarket parts and accessories will create a more productive environment, reduce exhibitor costs and time and attract a broader base of attendees." Dammrich acknowledges that IBEX&apos;s time frame may not be ideal for many former MAATS exhibitors, who were used to a mid-summer event. "They may not be in the prime buying season for next year, but it&apos;s an opportunity to make contacts, strengthen relationships, build new relationships and introduce products," he says. "Today, with the Internet, people don&apos;t rely solely on a twice-a-year catalog. If someone finds a new aftermarket product at IBEX, they can get it out immediately using the Internet." Another change that comes with the joining of MAATS and IBEX is that the National Marine Distributors Association&apos;s S.T.E.P. purchasing event is no longer held in conjunction with MAATS. Instead, this year S.T.E.P. was held in late July outside Chicago. Nearly 300 people attended the four-day event and about 125 companies attended. "We expect that there will be NMDA members both walking the show floor and exhibiting at IBEX, as they have done in the past. With our S.T.E.P. purchasing event just finishing, we are not sure how many distributors will actually be doing buying meetings as part of the MAATS pavilion," says NMDA executive director Nancy Cueroni. "We have worked with the NMMA the past few months to make sure our members are aware of the availability of buyer/supplier meetings in Louisville." Amber McCrocklin, president of Paws Aboard, says her company used to exhibit at MAATS and will be a part of the MAATS pavilion at IBEX. "It is important for us to attend the industry shows to allow us time to spend with current customers, as well as meeting new, future customers," she says. "I certainly hope there will be higher attendance this year. From what I understand, they chose Louisville due to its proximity to the majority of the customer base." Doug Curtis, director of marketing for Dometic Marine, says the integration of the two shows is a positive step. "It brings two segments of the industry together in one place at one time," he says. "I am confident that IBEX in Louisville will provide a great platform from which to launch our innovative new product range to an industry that we feel is recovering." IBEX this year starts with the industry breakfast - an event that had traditionally been held on the last day of the show. 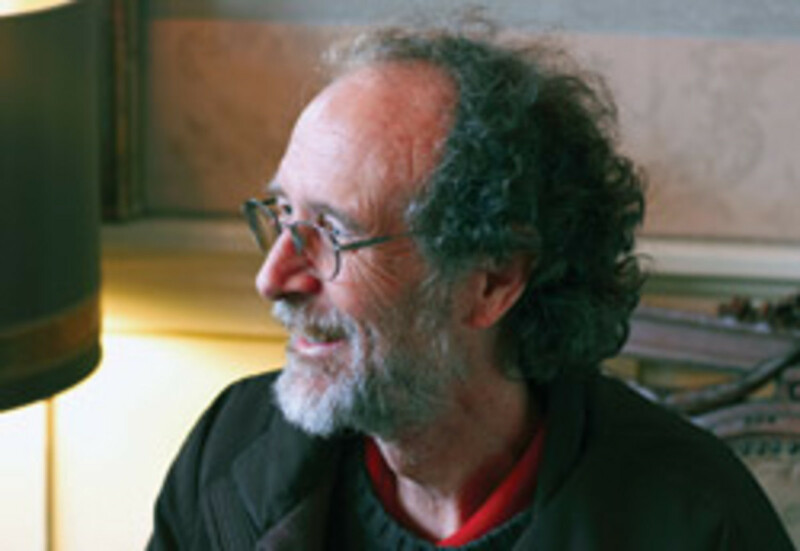 The Alan Freedman Award will be presented and the IBEX Innovation Awards will also be announced. Dammrich says moving the Innovation Awards to the first day will give more people a chance to learn about these products. The breakfast will feature a keynote address from Tori Murden McClure, the first woman and first American to row solo across the Atlantic - a feat she accomplished in 1999. In 2009, she published "A Pearl in the Storm: How I Found My Heart in the Middle of the Atlantic Ocean." McClure was recently named president of Spalding University in Louisville and assumed the post July 1. Once again, dozens of seminars on all aspects of the industry - from on-board systems to marina operations to design and engineering - will be offered throughout IBEX. Also, outdoor exhibitor demonstrations and workshops will take place throughout the show. This year&apos;s IBEX features a dealer development track, which includes many seminars specifically tailored to those who work in the service and parts departments of dealerships. 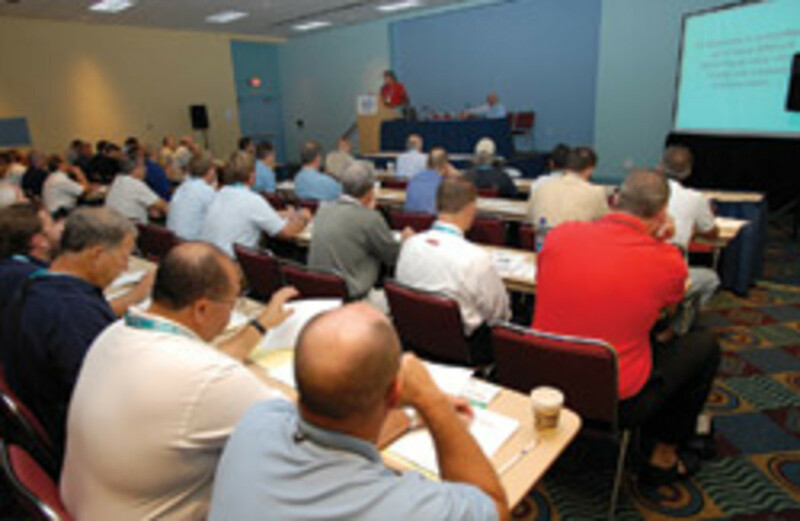 Topics for the six seminars include competitive selling sales fundamentals and boat fuel systems. IBEX will feature all of the new parts, systems and aftermarket products that parts and service managers can expect to see on 2012 model-year boats, Dammrich says. "What we&apos;re trying to say is, don&apos;t let the first time you see these things be when a boat is delivered to your dealership," Dammrich says. "Come to IBEX and see these new systems that are going to be on the boats you&apos;re going to be buying next year and begin familiarizing yourself and preparing to talk about these systems with potential customers." Pre-conference workshops will take place Sept. 27. These are being offered by Diab Technologies, WEST Systems and the Marine Industry Training & Education Council. A special session titled "Using Marketing Intelligence for Market Growth" is scheduled from 8 a.m. to 1 p.m. Sept. 29 The program will be moderated by Jim Petru, the NMMA&apos;s director of industry statistics and research, and panelists include: Ron Hein, Foresight Research; Jack Ellis, Info-Link Technologies; Jerry Mona, Left Brain Marketing; Tom Walworth, Statistical Surveys; and Ed Mahoney, Recreational Marine Research Center at Michigan State University. Attendees and exhibitors also are invited to an opening-night party in downtown Louisville. Heading into IBEX, many who spoke with Soundings Trade Only say conditions seem better now than last year as they prepared for the show. "The manufacturers are in much better shape this year than they were a year ago. That doesn&apos;t mean there aren&apos;t still challenges ahead, but last year production was down about 70 percent, so by the time IBEX rolled around people could not see where the end was," Dammrich says. "This year, production is up," he adds. "It&apos;s certainly not anywhere back to what it was, but people are producing more boats, people have leaned out their businesses to the point where they can make some money at these production levels and so I think they&apos;re feeling better." Those attending and exhibiting at this year&apos;s show are already looking forward to the 2012 model year, Dammrich says. "Certainly by 2012 the boat buyer will be back, the economy will be in much better shape than it is today and people need to begin seeing what&apos;s new out there," he says. Cramer says IBEX always features the latest technologies and there&apos;s "some good, new technologies that boatbuilders and repairers and dealers and yacht designers can use to effectively grow their businesses." Marinco&apos;s Kent says companies these days are looking for innovative new products to add to their boats to make them more attractive in the marketplace, and IBEX is the place to find those products. Also, Suzuki&apos;s Vandiver notes, many builders are running lean on supplies these days and some boat companies are having difficulty getting items such as cleats, seats or windshields. "So this may be a good opportunity for additional suppliers or there may be an opportunity to pick up additional business from guys that just need to have a secondary source to go to," he says. The industry is definitely on the upturn and even though the growth hasn&apos;t been huge, it&apos;s there, says Gus Blakely, manager of Suzuki&apos;s boatbuilder business. People are looking for affordability right now, he says, and IBEX attendees will be looking for supplies that can put more value into their boats while keeping costs down. "We think there&apos;s lots of opportunities to gather some new business," Vandiver says. "IBEX gives us an opportunity in one venue to have conversations with many of our important boat company partners, as well as see some new people. From our standpoint, IBEX is important to see what kind of products are out there in the marketplace and what&apos;s being used." For more on IBEX, or to register, visit: www.ibexshow.com.